"I can't even describe how much it's going to change our lives; even just the stability. This will be our forever home." 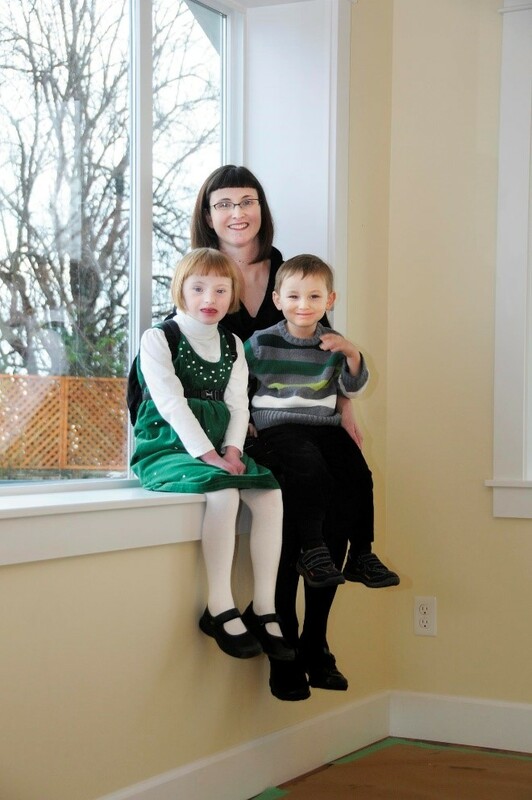 The next build project started very quickly in the Spring of 2009 with a duplex at Sunderland Avenue and Dufferin Crescent in Nanaimo, which would become three-bedroom homes for Holly and her two children and Elizabeth and her two children. 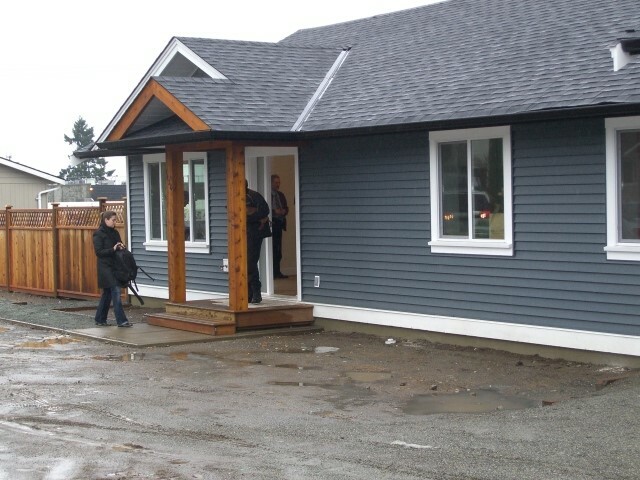 At this time Habitat for Humanity Mid-Vancouver Island began exploring new, more environmentally-friendly ways to build homes and this was the first “green” construction project. “We’re an environmentally conscious organization so it follows naturally that we begin to provide energy-efficient homes for our families. 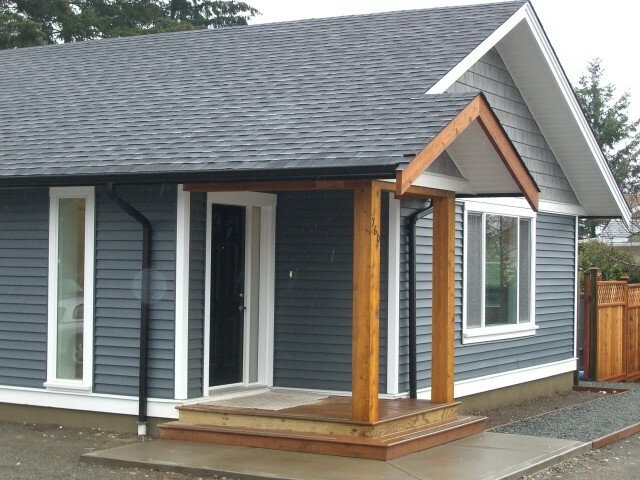 The duplex was built using the LOGIX ICF wall system. This ‘green’ building method is highly energy efficient.” Max Stocker, Board Chair said. 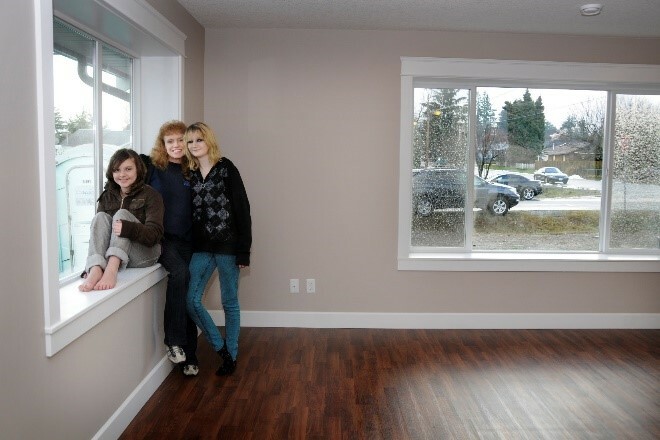 On December 16, just before Christmas 2009, both families were given the keys and were in their new homes.